What if we told you all of the world’s art and monuments could be preserved for generations to come while also making them accessible to everyone? The preservation of our collective cultural history is entirely dependent on becoming digital. Being digital is the key to relevance, by engaging current and future generations. This should not be seen as controversial, nor is it death knell of culture; it is in fact an opportunity for a new renaissance. Great Masters’ technology and methodology are the result of forty years of Maurizio Seracini’s revolutionary application of science to the study and preservation of art. We see the modern digital age as an amazing opportunity to explore, study and discover cultural heritage at speeds, and for audiences, that far exceeds even our wildest dreams only a decade ago. Through the use of science and technology the world’s cultural heritage has the opportunity to not only become more widely appreciated, but better understood across countries and cultures, and most importantly preserved so it will last for future generations and perhaps millennia. Google is on the right path! Technology companies often miss the mark and don’t fully understand how their inventions could be used to enhance culture. But much as entertainment has continually embraced advances in technology so can culture heritage. Art and culture can bring the joys and sorrows of life into your heart in a meaningful manner, and everyone – regardless of location or economic status – should be given the opportunity to experience it. This is where Google is absolutely on the right path. Amit Sood, the director of Google’s Cultural Institute and Art Project has given two great TED Talks on this very subject. Yes! Exactly! Most of us can recall seeing a historic site, cultural monument or piece of art that took our breath away. Those experiences stay with you forever. Art provides a connection between the present and past allowing us to make connections to our collective history. We agree that everyone should have the opportunity to experience the thrills and sensations that come with exploring the world’s cultural marvels and not just the most famous ones. The digitization of art should not be just about pretty pictures available on the web. 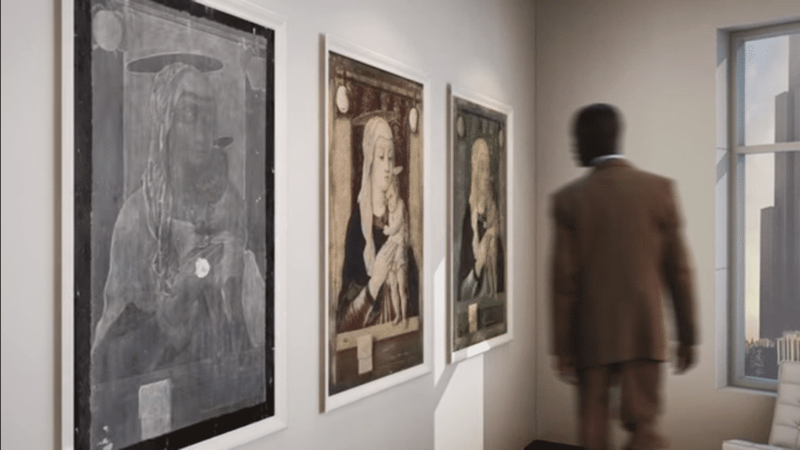 Our vision of a digital museum is creating an immersive experience for scholars, collectors and the public at large to understand and explore art in the context of history, culture, politics and science. This is something that is broader than traditional museum, documentary and book experiences. Experiential art gives the audience the ability to experience art using technologies more familiar to satellite imagery, virtual reality and even medicine! We have pioneered an online experience where you can explore many paintings including one of Da Vinici’s most famous paintings, The Adoration of the Magi. What is amazing is the self-guided discovery of a paintings secrets including finding Da Vinici’s original drawings, with shocking and unexpected images and iconography, hidden from view underneath the layers of paint for over 500 years. Imagine traversing a painting’s history and viewing the colors as they originally looked when it was painted! The digital world is very much about sharing, interacting and competing. Putting art into a virtual reality (VR) or augmented reality (AR) experience will drive even more interest and social sharing. The millennial generation yearns for accessible knowledge at their fingertips, and not just knowledge for its own sake. Their thirst for a connection and purpose is deep. It is essential to provide a very rich authentic experience so that they can fully understand what they are seeing and be one with it. Often you have 30 seconds to engage them, hook them, and bring them the cultural richness they could easily miss. If the current generations will chase down the fictional Pokemon GO characters just imagine instead if you could provide stunning content of cultural artifacts, locations and historical characters as part of a social and educational quest. As compelling as it is to discuss the digital museum and gamification, they really are just mechanisms for visualization and communication. The digital museum is just one of the exciting bi-products of our larger goal which is to standardize the concept of a clinical chart for art. While the name may seem dry and underwhelming, what we are proposing is a renaissance for the study and understanding of art. 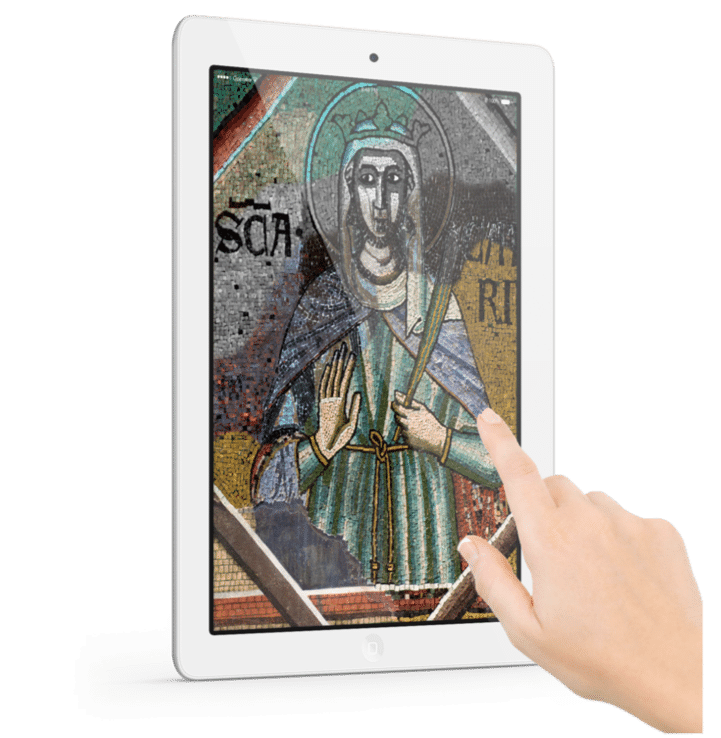 A digital codex of data that provides an incredible wealth of new scientific information to study, diagnose, preserve and explore art, historical sites and artifacts. So while the visuals seen in the digital museum will fuel interest and engagement, the codex of data is most valuable in its ability to reveal information about a painting, building or artifact, its creation, materials, history, iconography, iconology, and its state of health. Furthermore, the data provides the foundation for scientific authenticity as well as a digital identification or “digital fingerprint” that could easily identify fakes, reduce the efficacy of art as a means of laundering money and even help law enforcement find and repatriate stolen art.